Below you can view all the townhomes for sale in the Inside Wade Townhomes subdivision located in Raleigh North Carolina. 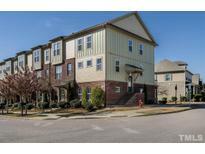 Listings in Inside Wade Townhomes are updated daily from data we receive from the Raleigh multiple listing service. To learn more about any of these townhomes or to receive custom notifications when a new property is listed for sale in Inside Wade Townhomes, give us a call at 919-928-5027. Current Lease End Date Will Be Adjusted To Match Buyers Closing Date. MLS#2248675. 5026. Enjoy the easy living Inside Wade has to offer with HOA maintaining yard, saltwater pool, pocket parks and easy access to 40, 440, RDU, RTP, Downtown Cary & Raleigh, PNC arena, Fairgrounds, Carter-Finley and more! 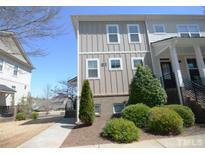 MLS#2245734. 3335. Enjoy easy living that IW offers with HOA maintaining yard/landscaping, salt water pool, easy access to 40, 440, RDU, DT Cary/Raleigh & more! MLS#2239509. 3335. An ideal location. A MUST SEE! 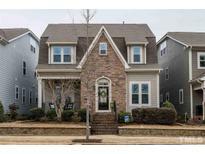 MLS#2236283. 4542. The perfect balance of space for entertaining & privacy. Numerous community amenities. MLS#2236006. 4772. Gourmet kitchen features granite, stainless, and gas range. Faces pool and clubhouse! MLS#2227207. 5183.